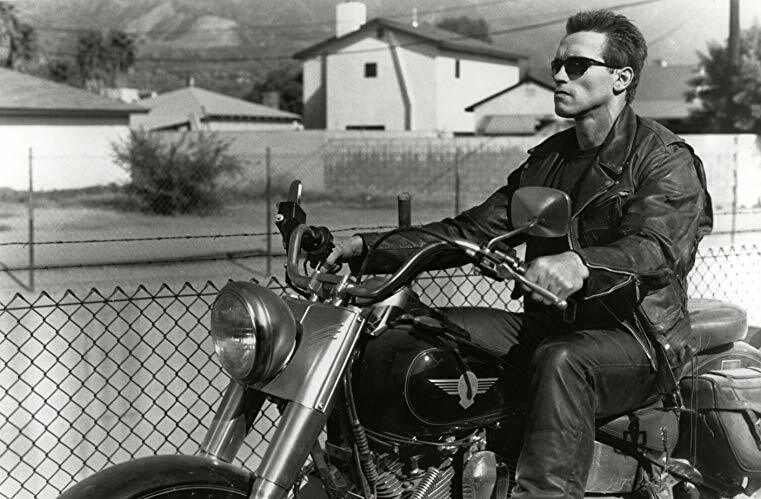 James Cameron’s sci-fi classic, The Terminator, has spawned many sequels since the originally released in 1984. That film starred Linda Hamilton as Sarah Connor, the future mother of the leader of a resistance group who have been forced to battle against deadly machines in a bleak future. In the future, humans no longer control the world after accidentally handing over all power to machines. Once they hand over that power, the first thing the machines did was to set off the nuclear weapons of the world’s military, wiping out practically all humans. The humans have been fighting back in the future and are on the brink of defeating the machines once and for all. To prevent that outcome the machines send back an assassin robot to eliminate a young Sarah Connor, meaning her son won’t be able to lead a group of rebels to defeat them. Now Sarah has to fight against the deadly assassin, not just for herself but her unborn son and the entire human race. The movie sparked a series of sequels as it proved such a popular concept. The theme of humans relying too much on machines is common in today’s society, where most of us can’t go more than a few hours without checking in on what’s happening on the internet. Did you think the recent Terminator reboots were missing a feisty Linda Hamilton as Sarah Connor? These leaked photos show us that the star of the original movie is back fighting for our survival. 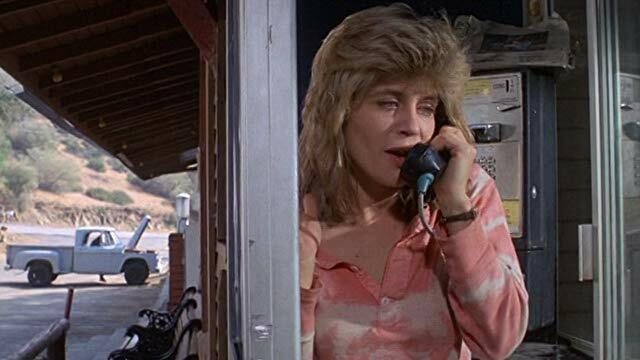 Sarah Connor was just your average American woman back in 1984. She works as a waitress, drives a moped and has huge hair filled with highlights. As far as she is concerned, she is just enjoying life, living with her roommate and minding her own business. One day she is working at a restaurant and hears her name on TV, another woman named Sarah Connor has been brutally gunned down. Soon another woman with the same name is eliminated, and Sarah Connor must go on the run. 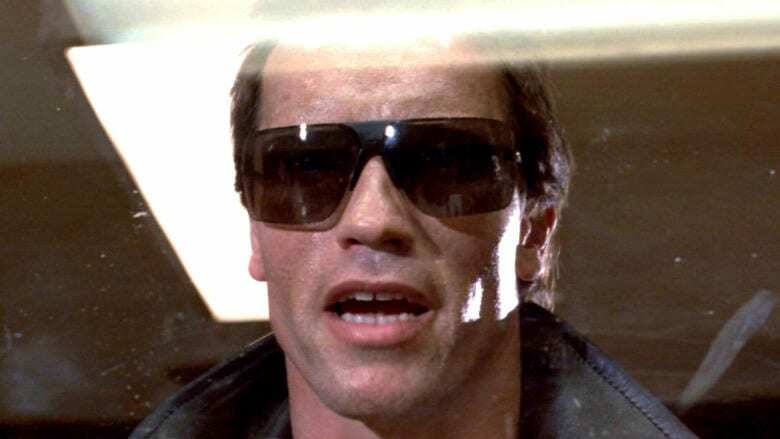 This is the moment the first terminator in the franchise utters the famous words, “I’ll be back.” A phrase that has stuck with actor Arnold Schwarzenegger ever since. In the first movie, he is ruthlessly hunting down Sarah Connor trying to eliminate her before she gives birth to her son, John. As more movies come out Arnold’s terminator becomes a good guy, being reprogrammed to obey the orders of both John and Sarah Connor trying to help them fight off new threats from more advanced terminators. Now she was on the run from this persistent assassin. Luckily for her, the future resistance had sent their own soldier back in time to protect her, a warrior by the name of Kyle Reese. He sneaks into the police station and rescues Sarah, and the pair goes on the run across the country. Finally, the terminator catches up with them, and they are forced to battle against it in an industrial factory. Sarah had to set it on fire, then crush it before she could breathe a sigh of relief. Following her time as Sarah Connor, actress Linda Hamilton was a big name, and she had offers from many movie makers to appear in their projects. Many actors grow up wanting to appear in an iconic production and Hamilton had the opportunity to feature in one of the longest-running film dynasties in the world. She was cast as Amy Franklin in the action-adventure King Kong Lives, a continuation of the classic Hollywood monster movie King Kong. Hamilton first gained recognition for her roles in TV shows before getting her big movie break in The Terminator. 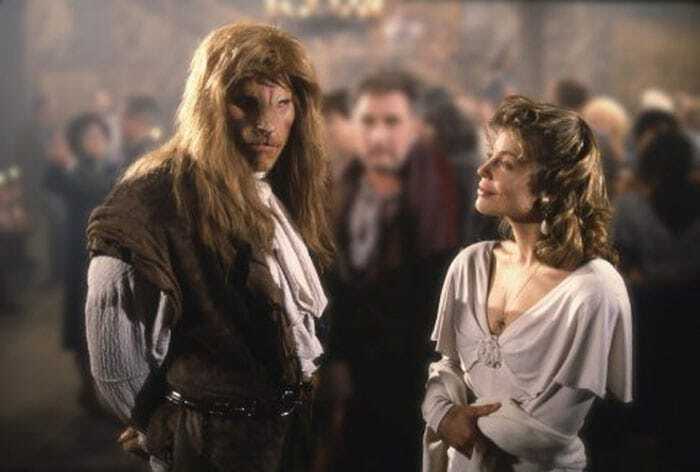 After appearing in several movies, Hamilton returned to the world of TV in 1987 in the fantasy crime drama Beauty and the Beast. The show ran for three seasons and featured a young Ron Perlman as Vincent, or the Beast if you prefer. After appearing in the TV show for a while, it was time for Hamilton to return to our movie screens as Sarah Connor in the Terminator sequel. 1991’s Terminator 2: Judgement Day featured Linda Hamilton as the returning Sarah Connor. Now she had been hardened by the experience of the first movie and had become much more militant. 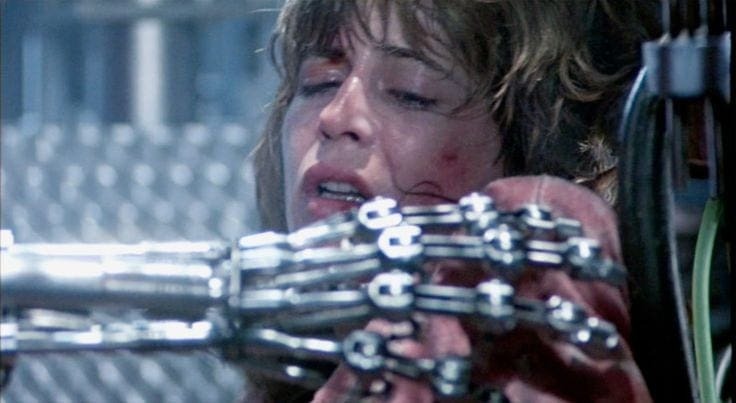 After the experience she had fighting a deadly machine sent by Skynet, few people would believe her warnings, meaning she was locked up in a mental hospital. Sarah had been preparing ever since the last terminator was sent and when she found out another had been sent, she soon broke out to take it down once and for all. 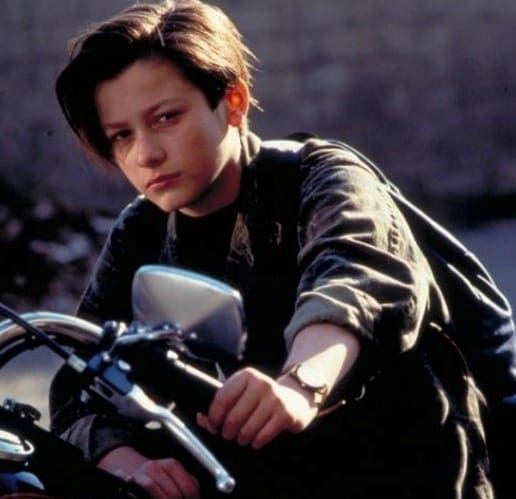 Edward Furlong plays the young John Connor who becomes the target of the latest terminator sent back in Terminator 2. As they couldn’t take him down in the future, they go back to his past to eliminate him as a child, but the machines didn’t count on a couple of things. Firstly his mom was still around and had spent the past decade training to take down any threat. Secondly, the resistance fighters had an ace up their sleeve, they sent their own terminator back in time to protect John. The resistance had sent back Arnold Schwarzenegger’s terminator model, the T-800. Suddenly all of the stuff that John had been hearing from his mom came true. Now, this terminator was on the loose, but it wasn’t clear what his purpose was. We soon find out as he momentarily takes down the terminator sent by the machines to take John out. As he hangs out with this young teenager, the T-800 starts developing a sassy personality, somehow making the audience care about this machine. 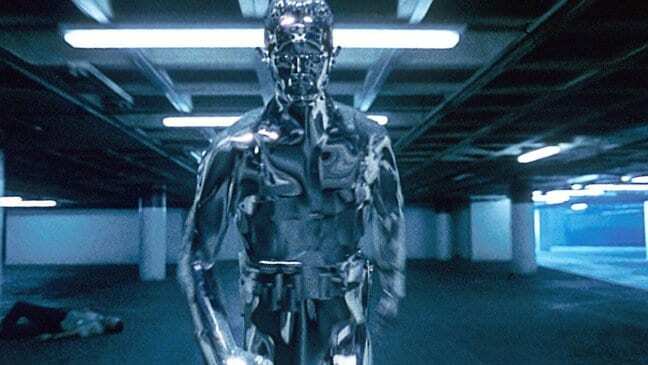 The new terminator that the good guys have to battle against is the T-1000. It is made from a liquid metal meaning it can take the form of anything it touches and regular bullets only deal minor damage to it. The T-1000 can turn any part of its body into a weapon and even sprouts extra limbs at one point as it tries to fly a helicopter and shoot a machine gun at the same time. It even takes the form of Sarah Connor in an attempt to eliminate John. For the scene where the T-1000 terminator perfectly resembles Sarah Connor, the filmmakers used a classic filming trick. Linda Hamilton has a twin that they brought in to act as the fake Sarah. She did such a convincing job that it wasn’t a commonly known fact about the movie until recently. It worked a treat and had the viewers fooled as much as the characters on the screen. Amazingly, Linda and her twin were not the only identical siblings used on the set of Terminator 2. We first witness the T-1000 terminator transforming itself into another person after this guard stands on it when it is pretending to be the floor. After coming into contact with the man’s shoe, the T-1000 stands up behind him and confuses the guard before impaling him with a spike grown from his finger. To achieve the appearance of perfectly resembling the guard the filmmakers used a set of twins. Don and Dan Stanton played the two versions of Lewis, the guard. Following the success of Terminator 2: Judgement Day another sequel was penned for release in 2003, 12 years later. Arnold Schwarzenegger was back, again as a terminator fighting for the humans against another incredibly advanced terminator. This time, the deadly terminator model was the T-X, played by Kristanna Loken trying once again to eliminate John Connor but now the dawn of the machines was upon the characters in the film. As well as battling the terminator, John and the T-800 had to find a way to shut off Skynet. In this third outing in the franchise, John Connor couldn’t rely on his mom to help bail him out of his perils. As far as the series was concerned, she had died from leukemia leaving behind John to fight against the machines on his own. Luckily John lives off the grid and is pretty hard to find, but there is a bit of help he can call upon. 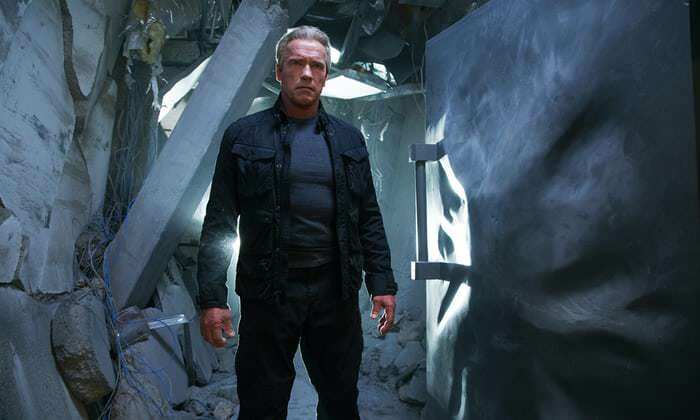 The resistance sends back another reprogrammed terminator to help John, and it’s in the form of his old friend, Arnold. The third movie was not liked by many of the fans, and they wanted something slightly different, so a TV show was created. It’s set in a time when John and Sarah were together, training for when the machines would come after them once again. Sarah Connor was played by TV fantasy star Lena Headey, long before she appeared in Game of Thrones. The show was called Terminator: The Sarah Connor Chronicles, and it ignored the story of the third movie entirely. John and Sarah were accompanied on their adventures by a new terminator, sent back by John from the future. This terminator, named Cameron, helps John and Sarah jump forward in time to prevent another alternate ‘Judgement Day’ from happening. The show’s creators cast Summer Glau as the teen terminator, an actress known to many sci-fi fans thanks to her role in the sci-fi TV series Firefly. Glau stated she wasn’t sure she was right for the role as she wasn’t confident about balancing human actions with those of a robot. 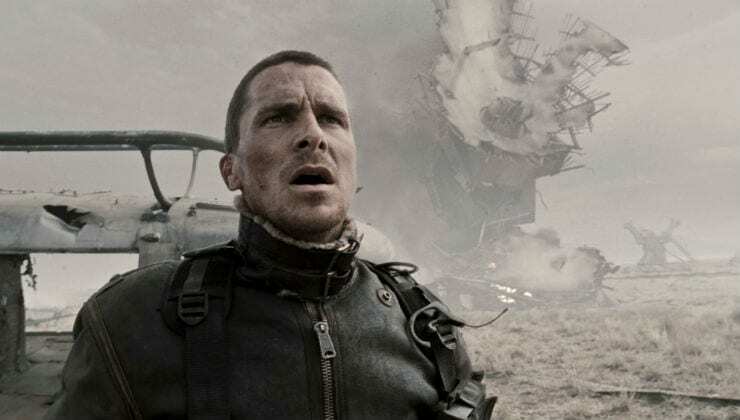 The film franchise continued to rumble on, and a fourth installment was released starring A-list actor Christian Bale, fresh from his role as Batman in the Dark Knight trilogy. The movie was set in a future that the characters had been trying so hard to avoid. John was the leader of the resistance, as we all knew he was destined to be, trying to prevent Skynet from manufacturing their latest model of terminators, the T-800 from the 1984 movie. The movies have a loose relationship with a consistent timeline and in the latest reboot, 2015’s Terminator Genisys, we are treated to further changes in the story. Kyle Reese is sent back to 1984, like in the first movie but as he gets there Sarah is waiting for him, and soon they are traveling through time to the present day in a bid to get one step ahead of Skynet. Sarah Connor is no longer played by Linda Hamilton, instead, she is replaced by another Game of Thrones actress, Emilia Clarke. Sarah Connor looks to be going back to her roots, and the producers have recast Linda Hamilton as the hardened mom of the leader of the resistance. The next movie in the franchise has been taken back under control by original creator and director James Cameron, and he has cast both Hamilton and Schwarzenegger to appear in the latest movie. It seems as though Sarah didn’t pass away from leukemia after all and is fit and healthy in this new storyline. Little is know about the next release in the Terminator franchise, but the fact that Linda Hamilton is back, teaming up with creator James Cameron will excite fans. It is expected to be released late in 2019 with a new terminator wreaking havoc in the lives of the people trying to take Skynet down. Rumors are that the film will be set in Mexico, the location the Sarah Connor went into hiding to prepare for her battle against the machines, and that could be where we are reunited with her again. Straight to Grad School or Take Some Time Off?